Listening to your body is Good for You! It always amazes me how much our bodies hold. I know this too well. Whenever I am confused or stressed about something, my body goes into overdrive and falls apart on me…headaches, tummy aches and all that other stuff that comes with stress. I realize I need to be very conscious about my well-being during these times. 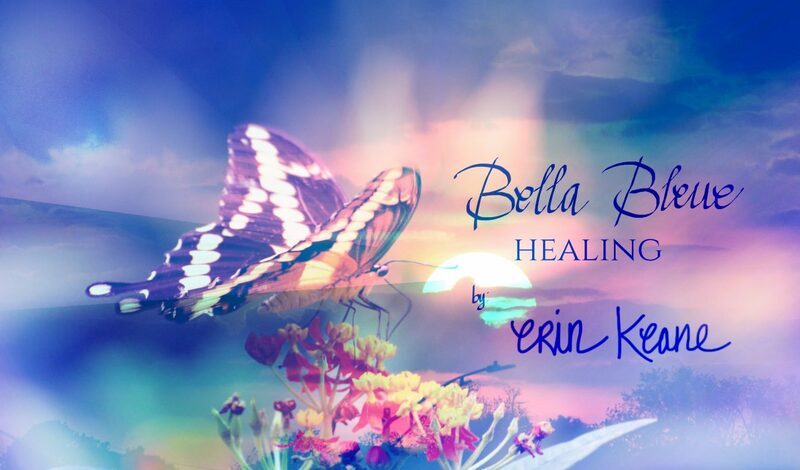 As a person who has suffered from depression– I put myself on ‘high-alert’ so that I can regain my equilibrium without falling off the deep end. Take a Step Back: Remove myself from the stressor and find a place to go and breathe. Do you have a special place to relax? Breathe in Deeply, and Let Go: Release all that is within me that is causing me suffering—Letting go with every exhale. And breathing in calm and peace. What do you do with your breathing that is helpful during a stressful event? Pour a Cup of Coffee: The caffine helps with my migraines—they come along when I’m really stressed. I’m really good at holding stress right in my neck and head…Where do you hold stress in your body? Do you have a ritual of coffee or tea etc. that helps you re-center? Listen to songs that make me move my body & dance: Even though I need the calm I also find I need to move my body and get those positive endorphins moving! There is something freeing about moving your body—it gets me out of my state. What do you do? Get a Hug: My son is good for hugs during the day, and my dog and 2 cats also love to be hugged—there’s something about connecting to humans and animals through touch that releases so much of the negativity and refills my body with a sense of love and care. Do you have someone or a pet that you who reconnects you to sense of care and well-being? Writing about it: I know this has been the topic of lots of my recent posts, but I’m realizing how much better I feel by having an outlet for my feelings. I used to journal all the time when I was younger and stopped when my life got too busy…and of course that’s when depression got in my being…I guess I need to write to get to that place of balance after I’m stressed, anxious, etc. What about you? Do you find change happening within you when you write or sing, etc.? It’s Friday evening in New England. So I’m letting go for a while, and ready to just enjoy the evening. I hope you are well, and find joy in your journey today too. 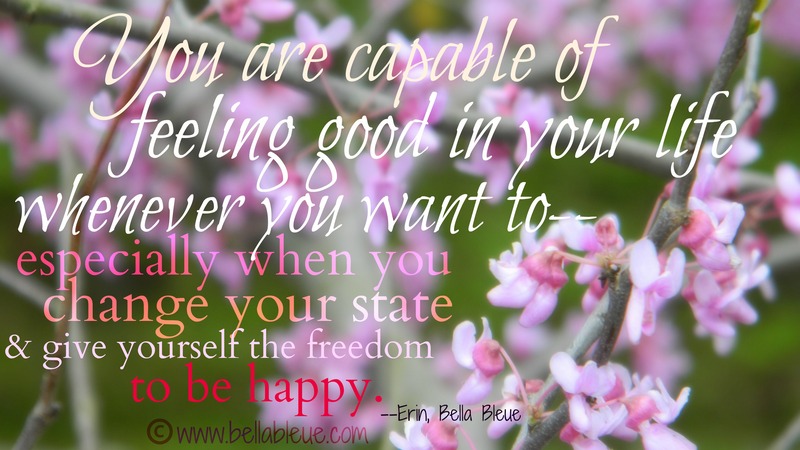 Remember: You are capable of feeling good in your life whenever you want to—especially when you change your state and give yourself the freedom to be happy. Thank you again for sharing. It’s nice to read this because sometimes I’m too busy to step back and realize that my body is sending me signals to relax! I love hugging my Pug, Polo when I’m all alone. He makes me feel so happy and not so lonely anymore. I should have a nice cup of coffee tonight too. 🙂 It will be nice to relax on a Friday evening for once in a very long time. So important. I have all kinds of personal rituals to help me cope with pain. Music is huge – I have meditiation cds that help so much, and my nightly bath with candle is my close to each day. Walks (when possible) are also important – healthy food prepared with love. Of course there is my puppy… oh … my list is endless. Self-nurturing is a wonderful way to maintatin inner-pease and wellness. Thanks for your lovely post today, and have a great evening! Ooopps, I meant to say it’s a webinar about low back pain, but in the beginning he talks about the effects of caffeine on the body.